The identity document or passport are the basic documents to acquire the entrance to Machu Picchu. Students also need the university student ID card to access a special discount. These documents must be valid, at least, until the date of the visit to the Inca City of Machu Picchu. Why do you need documents to buy the entrance to Machu Picchu? What documents should I show at the entrance door to Machu Picchu? Is the ISIC card valid to buy the ticket Machu Picchu? How to send the documents to buy the ticket Machu Picchu? What do I need the Andean Migration Card (TAM) for? Where to buy the ticket to Machu Picchu? All people who wish to know Machu Picchu can find advice and detailed information on our website. The ticket Machu Picchu contains certain visitor information such as: names, nationality, type and document number. The day of the entrance to the Wonder of the World, these data must match the information on the visitor’s identity document. Otherwise, you will be prevented from entering Machu Picchu. In the case of students, the university card allows them to access a special discount in Machu Picchu on the normal price of the ticket. National adult (Peruvian): National Identity Document (DNI). Adult of the Andean Community of Nations (CAN): National Identity Document. Foreign student: Current university card. National student (Peruvian): Current university card. Under 18 years old: Identity card or national identity document. Under 8 years: Do not pay! They only have to present the identity document that certifies their age. On the day of entering Machu Picchu, the authorities will ask for your entry along with the identity document or passport with which you made your reservation. University students, in addition to the ticket and the identity document, must present the valid university card. Children under 8 years old do not pay. However, the day of entering Machu Picchu, parents must show an identity document certifying their age. It is necessary to print the electronic ticket and show your original identity document at the Machu Picchu checkpoint. The International Student Identity Card (ISIC) is a document designed for university students. This card is accepted in several countries of the world to access various discounts. Unfortunately, the ISIC card is not accepted at Machu Picchu as a valid document to access the student discount. The valid university card issued by the university is the only valid document for this benefit. In the city of Cusco there are several authorized agencies to acquire the entrance to Machu Picchu. The passport or identity card are the documents that will be required to purchase the ticket. Students access a discount by presenting their valid university card. Garcilaso street s / n Cusco – Peru. Desconcertada Address of Culture of Cusco – Calle Maruri 324, Cusco. Pachacutec Avenue s / n Aguas Calientes, Cusco. In the authorized agencies by internet. The agencies that offer Machu Picchu tickets online must be authorized by the Ministry of Culture of Peru. The valid documents are the passport, the national identity document or the university card. The sending of documents is done by email. The documents must be in digital format (photo or legible copy). After making the reservation and making the payment, you will receive the tickets in PDF format. You should only print them and present them on the day of the visit. Book your ticket at boletomachupicchu.com, the number 1 website for ticket sales Machu Picchu. The sending of documents is to info@boletomachupicchu.com. The TAM is a document that every visitor receives when entering one of the countries of the Andean Community of Nations (CAN): Peru, Colombia, Ecuador or Bolivia. This document (TAM) is necessary during the purchase of the Machu Picchu ticket. In this way, the authorities of Peru verify the entry and exit of each visitor. After purchasing the ticket Machu Picchu, you must send a legible digital image or copy of the TAM. This is valid both for the entry by air and by land. Did you book your ticket with us? Do not forget to send a copy or digital image of the TAM to info@boletomachupicchu.com once in Peru. Where to buy the entrance to Machu Picchu? Ticket Machu Picchu is a travel agency duly accredited by the Regional Directorate of Tourism and the Municipality of Cusco. We are authorized to sell tickets for both adults and students. We carry out the process with absolute guarantee. We have an SSL security system on the Internet, which guarantees the privacy of all the documentation and information that we sent during the reservation process. Remember that without the documents it is not possible to make the purchase of your entrance ticket. After making your reservation and completing the form, you should only send a digital copy of your passport, identity document or university card. What documents should be sent by foreigners residing in another country? The basic document is the passport or the identity document. 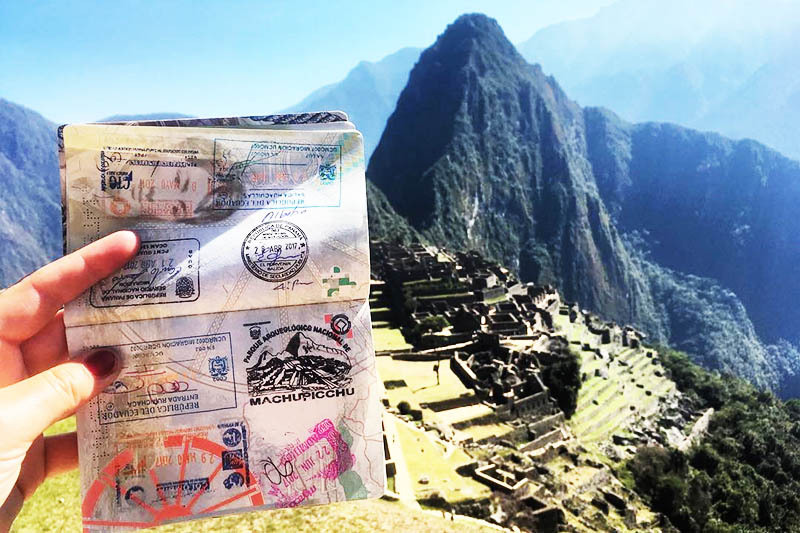 In the case of foreigners residing in Peru, Colombia, Ecuador or Bolivia; You can access discount Machu Picchu ticket by presenting your immigration card. Does the registration or library card apply to access the university student discount? No. The only valid document to buy the ticket Machu Picchu for a student is the valid university card. Neither the registration card, nor the library or the ISIC apply for the discount. Is it safe to send personal documents over the internet? The security during the purchase process of the Machu Picchu entrance depends on the website where you make the reservation. In ticketmachupicchu.com we have an SSL security system, which guarantees the privacy of the information. What documents to send to access the discounts for citizens of the Andean Community of Nations (CAN)? To access the discount for CAN citizens: Peru, Colombia, Ecuador or Bolivia; You must send a copy or digital photo of the valid identity card, passport or foreigner card. What document is necessary to make the payment online? The payment of the ticket Machu Picchu online is done through PayPal. This payment method accepts Visa, MasterCard and American Express cards. In addition, only the passport number or identity document is needed. Is the university card used for any other discount in Machu Picchu? The university card also serves to access other discounts in Cusco and Machu Picchu. The main discounts are on the normal price of the Tourist Ticket of Cusco and the tickets to the Inca Trail.